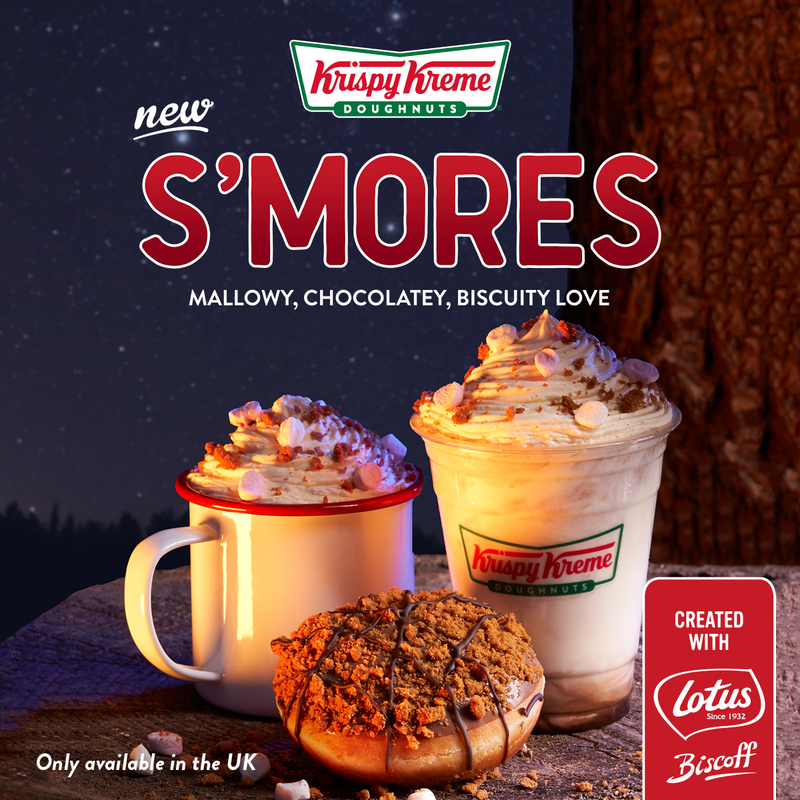 News — S’mores at Krispy Kreme! New S’mores at Krispy Kreme! As one of the most premium flavours in our range we’re proud to partner with Lotus Caramelised Biscoff – one of our favourite flavours. This season we’re driving news to our existing Lotus Caramelised Biscoff, delivering our consumers and lovers of Lotus Biscoff a limited time doughnut filled with mallowy, chocolately, biscuity love. *New* S’mores (sites with shakes available) Shake With swirls of chocolate sauce through our delicious thick shake, finished with whipped cream, marshmallows and Lotus Biscoff crumb.